Noah Harter made the start and struck out five in four innings for the Pirates. *Photo courtesy of Amelia Island Sports Photography. 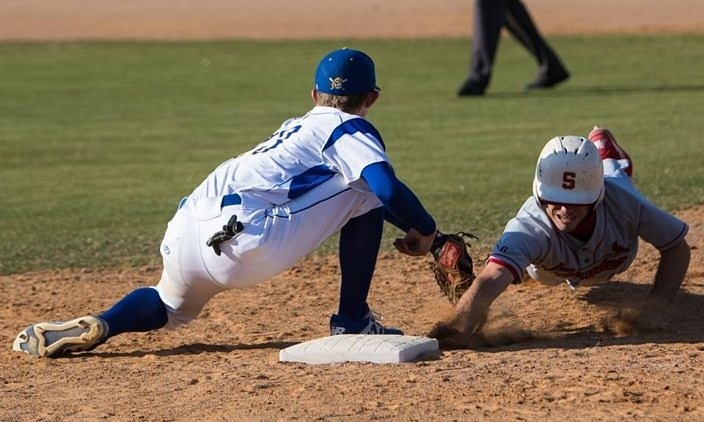 The Fernandina Beach Pirates earned some sweet revenge on Friday night, in the opening night of action in their Diamond Classic Spring Break tournament. 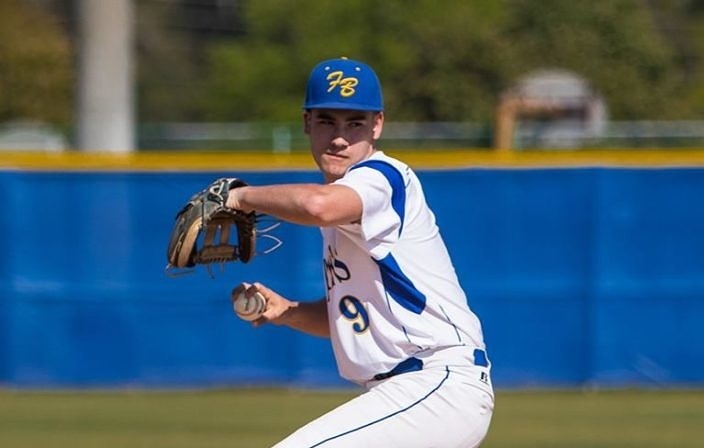 The Pirates walked off in the bottom of the ninth inning with a 9-8 win over Bishop Snyder, to avenge an opening-day loss to the Cardinals in which Bishop Snyder had also walked off to victory. Caleb Goltz was hit by a pitch with the bases loaded to drive in Andrew Ayers with the winning run, capping off a wild and exciting contest. Both sides jockeyed for the lead throughout, with two lead changes and three ties along the way. The Cardinals jumped ahead 4-0 early on, before the Pirates answered back with a four-run third inning that tied it and then went ahead for the first time with four more runs in the fifth. Bishop Snyder responded right back with four runs in the top of the sixth that again evened the score and forced extra innings. *Photo courtesy of Amelia Island Sports Photography. There was plenty of offense on display, as the two sides combined for 19 hits in all. Fernandina’s Aiden Sweatt led the way in going 3-for-4 with two RBIs, while also reaching base five times. AJ West went 2-for-4 with a double and two RBIS and Andrew Ayers was 2-for-4 with a double, two RBIs and two runs. Danny Neri had his biggest day at the plate all season to lead Bishop Snyder, as he was 2-for-2 with a double, a triple, three RBIs, two walks and a run. Nick Wrubluski went 2-for-5 with a double and Antonio Esterling scored three runs while going 1-for-4 with a walk. 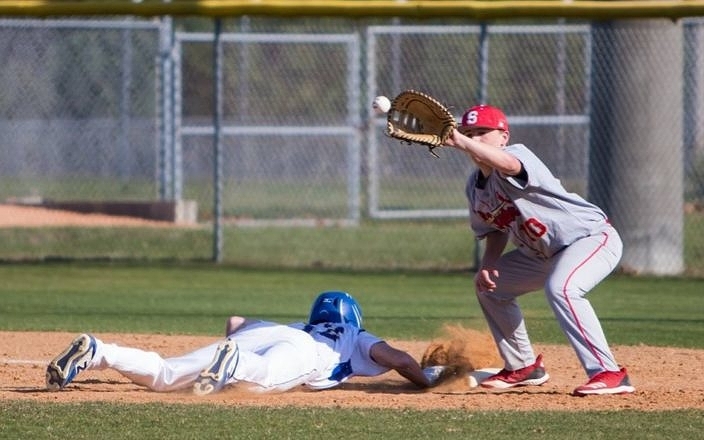 Bishop Snyder won with a 5-4 walk-off in the season opener on February 26th.